It took me years to finally attain my goal to extensively visit Lebanon. In 2010 just before the turmoil that happened in neighboring Syria, I was lucky to join a group and we crossed into Lebanon for a day trip to visit the Roman site of Baalbek Since then we have been arranging many tours for various travelers to this beautiful small country dubbed the Switzerland of the Middle East, yet I have never found the time to explore the country for myself. 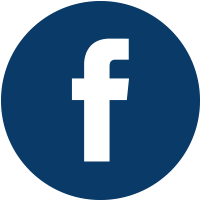 Then the opportunity presented itself when I found we have a full house of 14 of our best and repeat clients booked on our February 2018 tour with the guidance of one of our top lecturers: Michel Behar. Hence, I jumped on the occasion to accompany some of our loyal customers, of whom many have traveled with me in past trips to other destinations, but it was also a golden chance for me to see firsthand and experience being on a tour with Michel and see him in action. 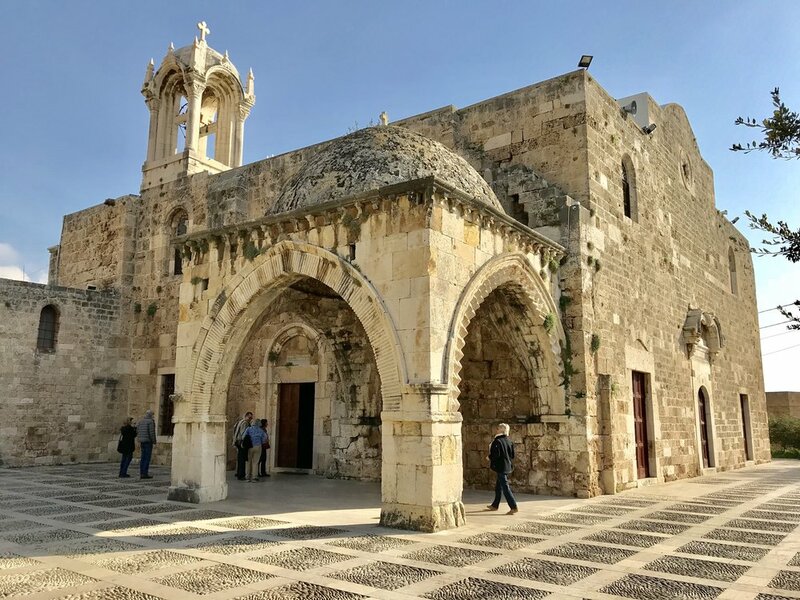 One of the first things that one notices in Lebanon is the soothing blend of ethnicities and religions and the peaceful coexistence between Christian and Muslim. Eighteen religious sects are recognized by the state and many Lebanese citizens are trilingual mixing often in the same sentence Arabic, French and English. The Christian population is approximately 40% of Lebanese society while the remaining 60% is divided between Muslim sects of Shia, Sunni and Druze. 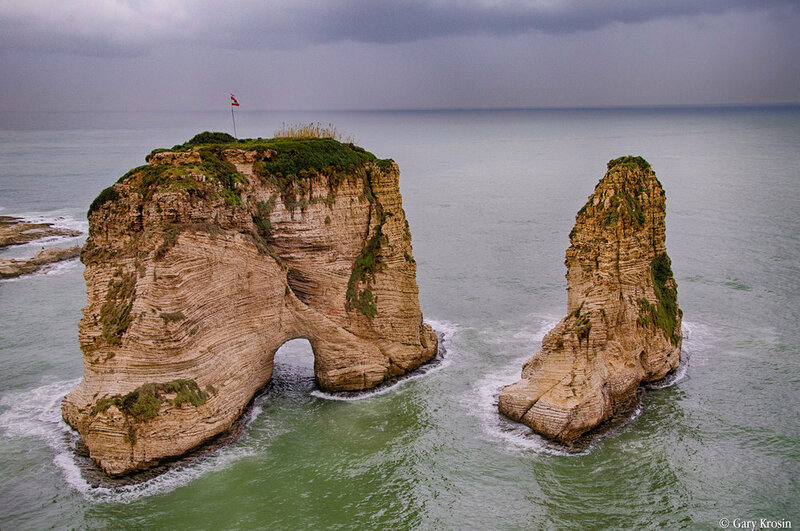 In a country that survived many hardships, most notably the civil war of 1975-1990, the 1982 Israeli invasion of the south, and several political assassinations, you can’t help but admire the resilient people who call Lebanon home. Despite economic pressures and the upheaval in their daily routine they embrace life to the fullest. They rebuild as quickly as rockets destroy. They stick to their traditional night life even as power is disrupted by attacks on their electric grids. They dress elegantly to dance the night away at clubs even while life around them has been dramatically altered. They tell endless jokes ridiculing every facet of their hardships to help them cope. 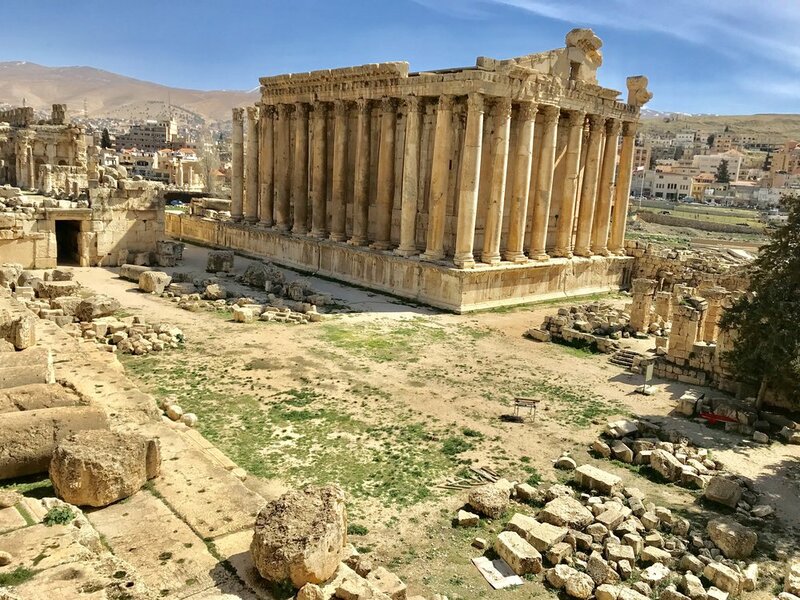 Lebanon is a relatively modern Arab nation, especially in the larger cities, but it also has some remarkable ancient sites. The highlight of course is Baalbek. The site includes temples dedicated to Jupiter, Bacchus and Venus with a remarkable great court and hexagonal fore court. 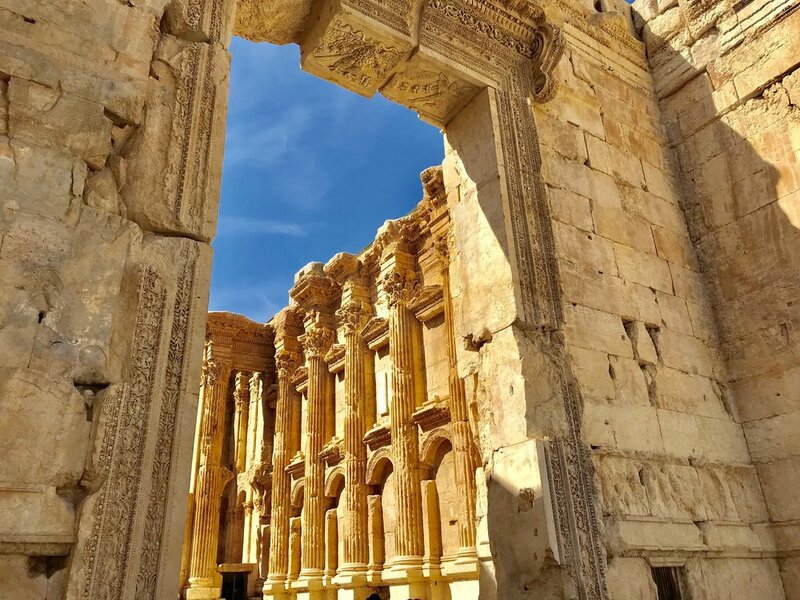 Our tour spends 8 days in Lebanon, with ample time to explore its ancient sites from Phoenician cities overlooking the blue waters of the Mediterranean to small, quaint towns nestled in alpine-like mountains covered with cedar trees. This nation is small enough to drive from north to south in a matter of a few hours and from its Mediterranean shore in the west across a mountain range to the Syrian border in the east in even less time. 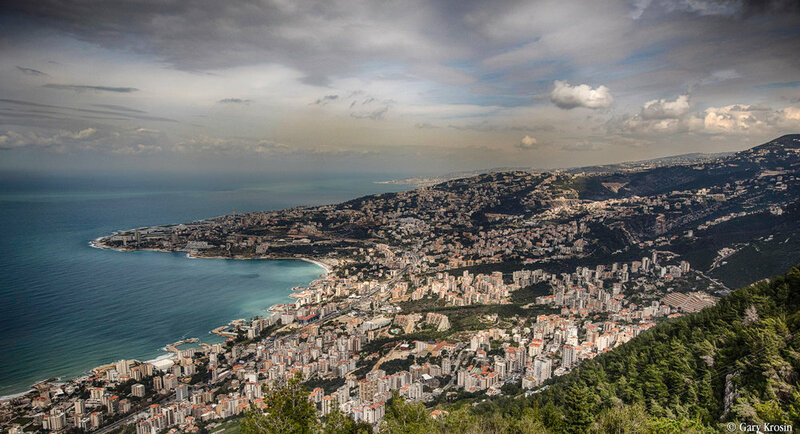 Because of its central location Beirut is the perfect city to use as a base for daily excursions. In just an hour to an hour and a half you can be in Tripoli in the far north or in Sidon in the far south. The Aarjan Rotana Hotel we called home for the week was the ideal choice, a moderate 5* accommodation situated on the shore, facing the Iconic Rock named Pigeon Hole and close to many small cafes and restaurants, yet not too far from the cacophony of El Hamra commercial district that is bustling day and night with pedestrians and shoppers. Our Lebanese guide was a competent young woman named Pauline, who quickly won the hearts of our travelers and that of Michel as well. She was gentle, patient, compassionate, knowledgeable and with a sense of humor. As I could not join the tour from the first day, I landed in Beirut on the 3rd day and was taken right away to meet the group for lunch at a sea-side fish restaurant in the town of Byblos, overlooking the ancient Phoenician port, and as soon as I walked in, it felt like a family reunion with so many of the travelers being old friends, we hugged and kissed and I even felt when meeting Michel for the first time ever as if I have known him for ages! 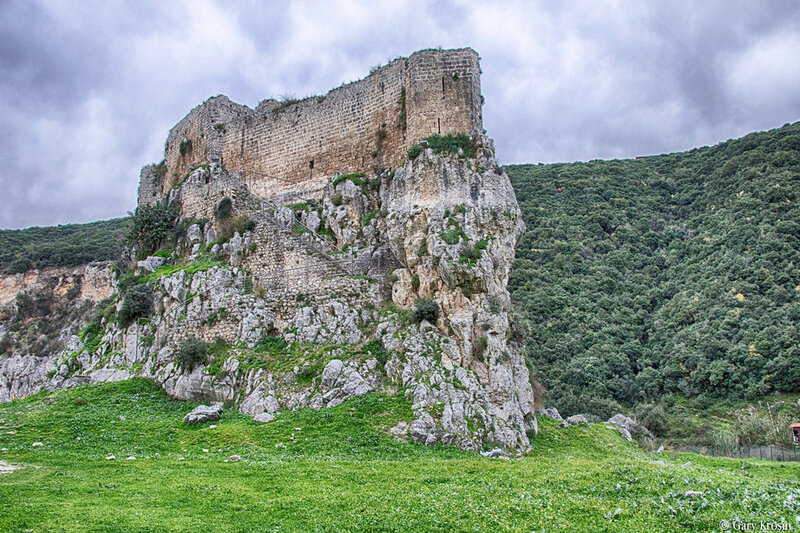 Byblos is considered by many to be the highlight of the country. Habitation in the area dates back to approximately 5000 BC to the Neolithic period and traces of civilization remain in the form of huts from the 3rd century BC when the Phoenician’s began to flourish. 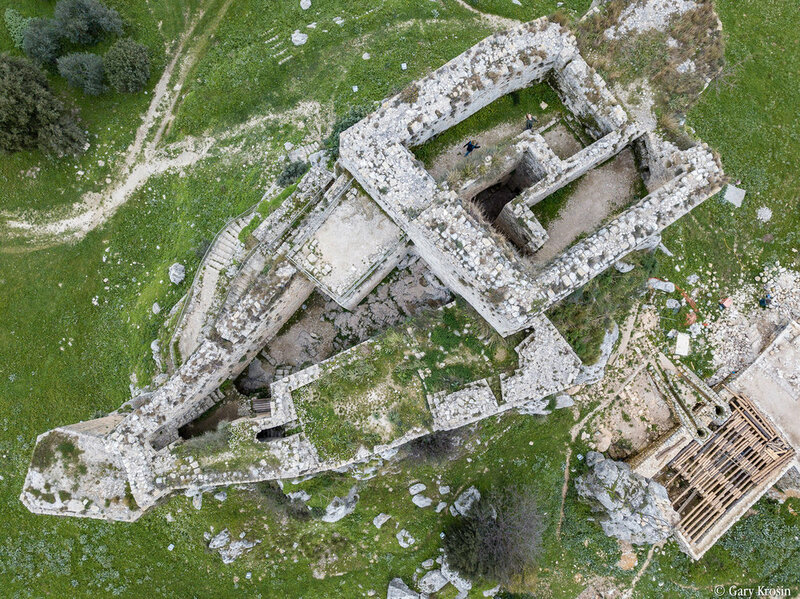 We visited the archaeological site to see the remains of the Great Temple and the Temple of Baalat Gebal. We crept down 20 feet into the ground to see the Phoenician sarcophagi, a few of which still remain in situ while many more are on display in the museum of Beirut. 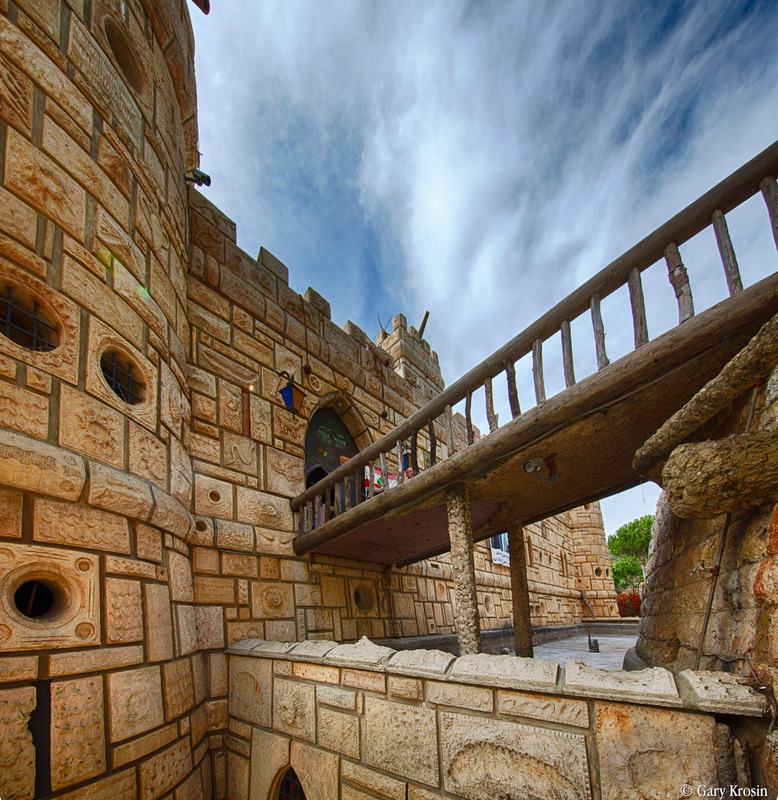 Next we toured the harbor and the magnificent Crusader castle built in the 12th century. The list of civilizations that conquered and or inhabited Byblos include the Phoenicians, Assyrians, Persians, Greeks, Romans, Byzantines, Mamlouks, Crusaders and Ottomans. 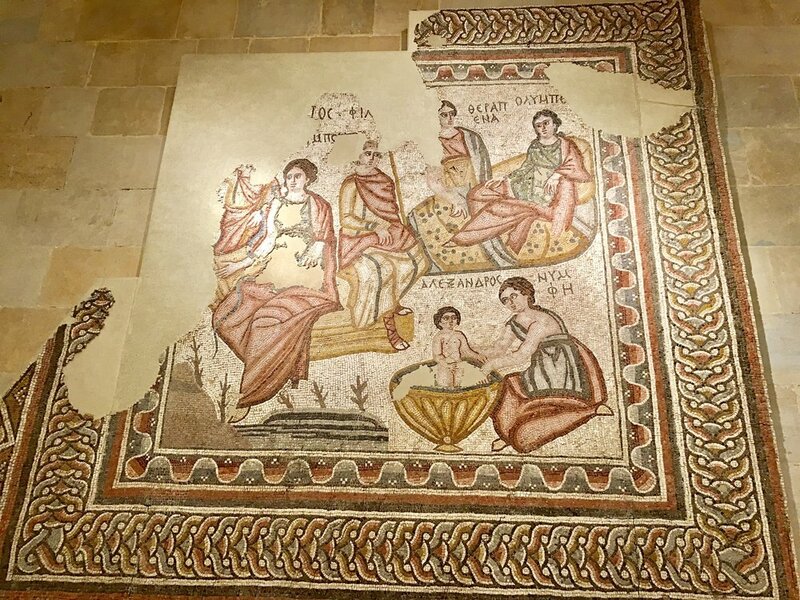 Each group left their mark, from the Roman city with agora, cardo, and amphitheater to the Byzantine mosaics and churches. The historic quarter in the old city is a maze of alleys full of cafes, bars, excellent seafood restaurants and stores that offer some of the best shopping in the country. Then we happily returned to Beirut. 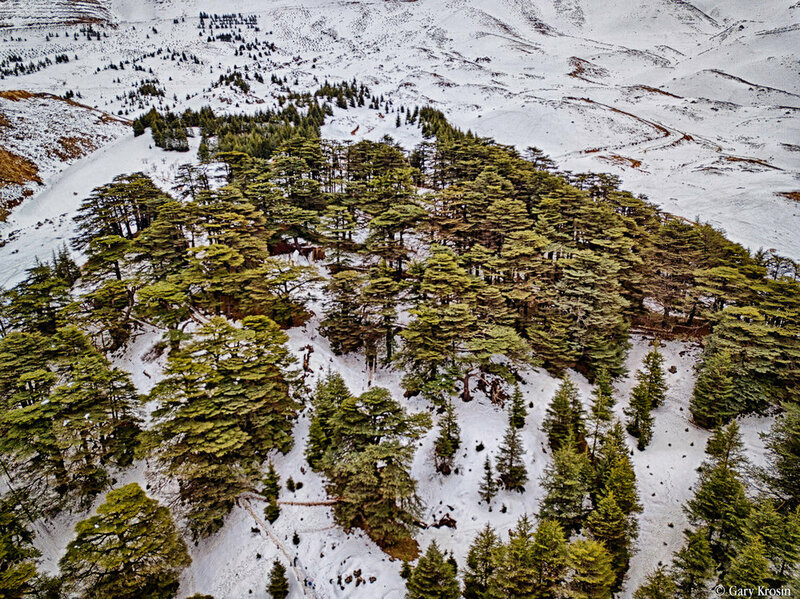 The next day was a relaxing journey into the mountains to the north that centuries ago were still covered by cedar trees. 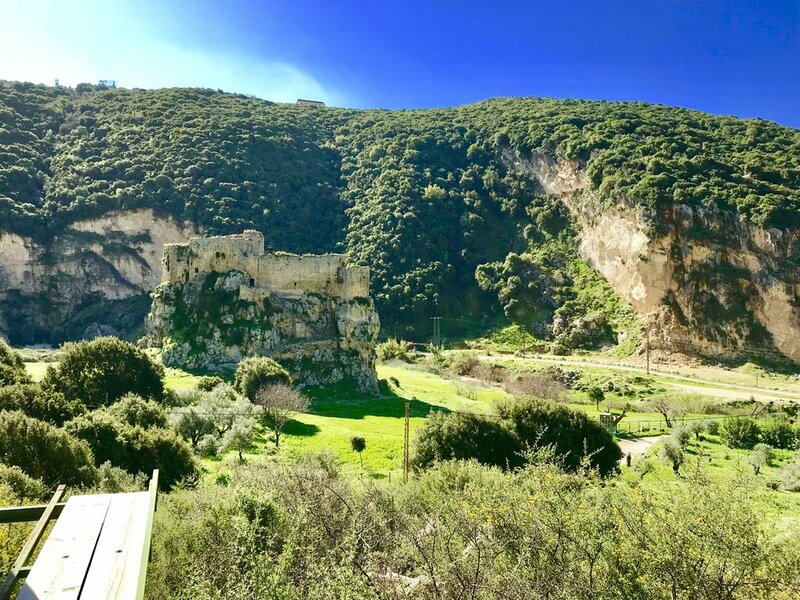 These mountains dotted with a few small protected areas of forests, once produced the famous cedar wood that flanked ancient temples and made vessels that the Phoenicians navigated to many corners of the world. The wood exported from this area helped the pharaohs of Egypt move the heavy stones used to build the pyramids. During the Ottoman era of the late 19th century and first decade of the 20th century, cedar was the paramount wood used in palaces all across the Near East. Another day took us to the very south, a mere 25 miles from the Israeli border to the Phoenician towns of Tyre and Sidon. 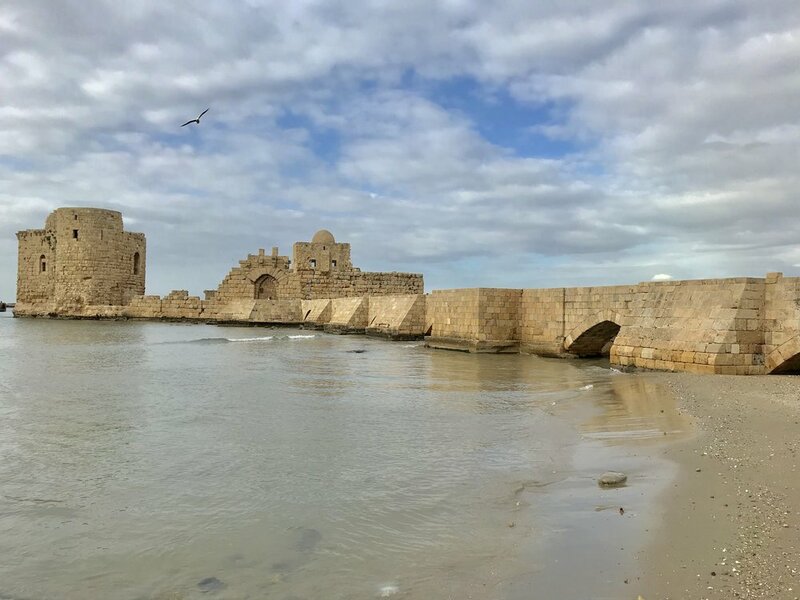 Boasting a magnificent site overlooking the Mediterranean, Tyre’s Phoenician port is largely submerged and what one can visit today is the Roman city built above it. Inside the modern city limit, we toured the stunning necropolis of ancient Tyre where thousands of sarcophagi, some Roman and some Byzantine, are scattered over a vast expanse. If you jump up and down you can peek into these marvelously carved resting places and see piles of human bones. At the edge of the necropolis, you come to a very unique place...the largest hippodrome in the world. Let your imagination wander...as you pass stores built under the arches you stop to purchase some refreshments before heading towards the benches. You are here to watch a chariot race with 30,000 other spectators and make your way to your designated seat that has been assigned based on your rank and social status. Enough daydreaming as it is time to head back towards Beirut to visit the quaint city of Sidon, the site of another Phoenician harbor. The old section of the city is very well preserved with clean, narrow alleys with many shops still producing traditional fare such as wood carving and copper work. Next we visited a soap museum where we were able to purchase scented and olive oil soap in the gift shop. We had lunch at an 18th century palace converted to a hotel perched on the slope of a mountain. The view of the surrounding valley and neighboring mountains covered by pine trees and red-roof homes was spectacular. We were told that the population of the country is roughly 6 million and there are an estimated 12 million Lebanese living around the world (mostly in South and Central America). Many of them own a second home in this region and most remain unoccupied throughout the year except in the summer when those living overseas return home to spend time with their family living in country. Sadly since the Syrian crisis has been so near and affected Lebanon, the country now is home to over 1 million Syrian refugees, some living in scattered camps around the country-side and many blended into the towns and cities and opened businesses and became successful economically. After a superb lunch in a pleasant setting, we departed for the famous palace of Beit Eddin, built by an Ottoman Pasha. 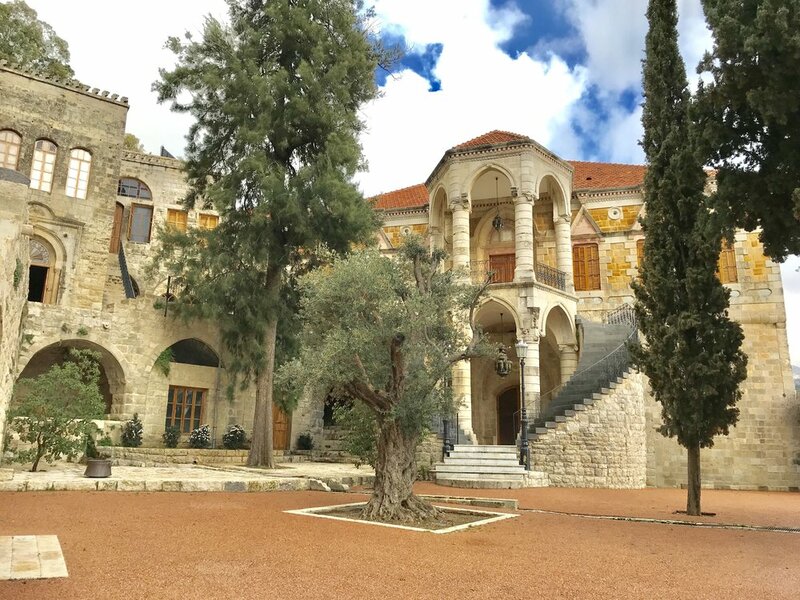 This lavish place now houses a wonderful ethnographic museum that depicts the culture of Lebanon and its amazing ethnic diversity through gallery after gallery exhibiting costumes, furniture, weaponry, and items from everyday life. The following day we spent time touring a few sites nearer to Beirut. We began with the Grotto of Jeitta, famous for its numerous stalactites and stalagmites. We spent a pleasant hour walking in the majestic upper caves before heading down to the lower labyrinth. These caves are submerged so one takes an excursion via electric boat on the lake where one can marvel at the beautiful formations and awe-inspiring sculptures that have come about over millions of years. 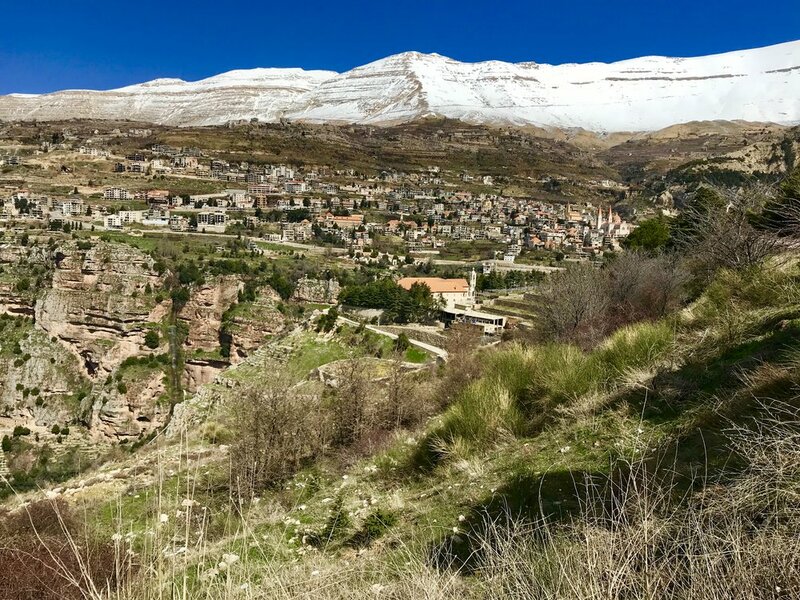 From here we continued to the colossal statue of the Virgin Mary on top of the mountain of Harrissa, another Iconic site of Lebanon that is so revered by the Christian Maronite population of the country. We took the cable car up to the shrine taking in the stunning vistas as we listened to the chanting of the ongoing mass. The locals had come to the site, dressed in their Sunday best, to receive the blessings of the Virgin Mary. We returned to Beirut and had lunch in an excellent seafood restaurant, where I was able to indulge in my most favorite offering from the sea: shrimp. What a pleasant way to spend an hour or two, overlooking the rocky shore in the company of good friends, enjoying a pound of grilled jumbo shrimp! At the newly inaugurated National Museum of Antiquities which turned out to be a delightful surprise, many of the masterpieces from Lebanon’s ancient past are on display in this modern setting. But somehow the choice of items, the fantastic lighting, the stunning presentation all come together beautifully to offer a very pleasant and educational experience. We ended our day in Solidere, the city center of Beirut. The idea came about in 1990 at the end of the civil war when several politicians decided to purchase the buildings in central Beirut that had been destroyed by rockets and strafed by bullets. The idea was to renovate these former homes and places of business and create an elegant pedestrian area with bars, restaurants, designer boutiques and elegant shops. The area has become so trendy that a one bedroom flat sells for approximately a half million US dollars. 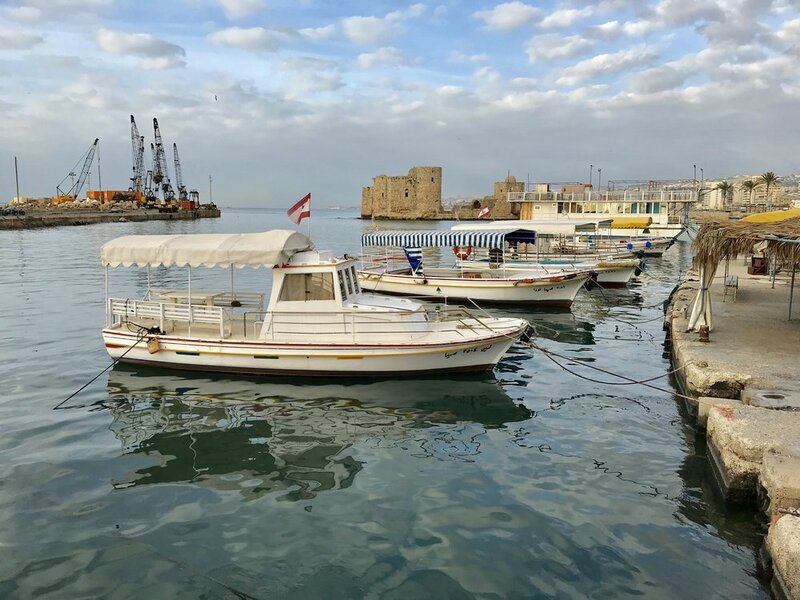 On our last day, we headed away from Beirut again, this time for the more conservative northern city of Tripoli, the second largest city in Lebanon. Lacking the glitz of Beirut it can best be described as run down, congested, dusty looking, haphazardly built. The souks are filled with Chinese junk and lots and lots of shoes! But...it does have a picturesque crusader’s castle perched on a hill overlooking the sea that is very much worth the excursion. Then we stopped at one of the deserted railway stations that served the Hijaz route in the late 19th and early 20th centuries where we jumped into some of the old locomotives that carried so much history from bygone eras. 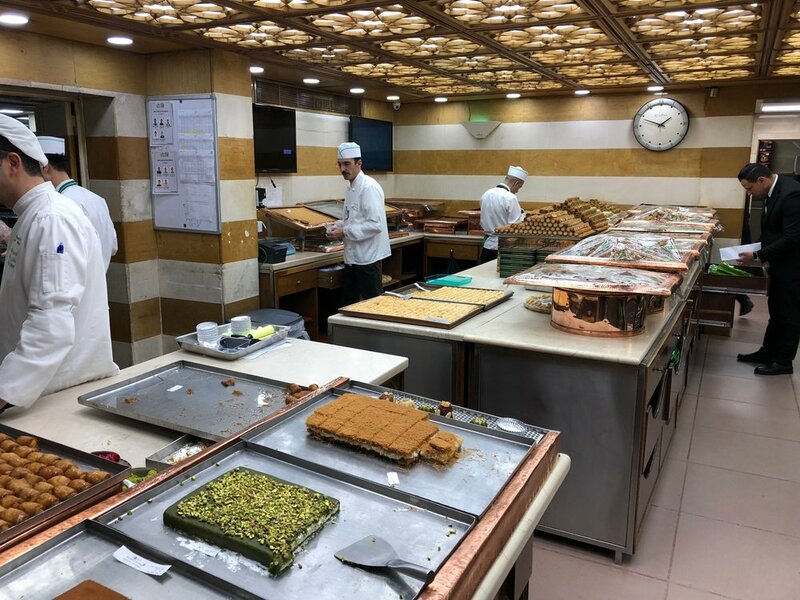 One of the delights in Tripoli is having lunch at a special restaurant called Qasr Hallab, which is also one of the most famous pastry shops in the whole Middle East; and of course, so many of us ended up with packaged boxes and trays of Baklava and other sugar-loaded delicacies before returning to Beirut for our last night in Lebanon. I must say, Lebanon has stolen my heart and my whole group felt the same and expressed that they were so amazed at what a tiny nation like that could offer. It is a truly multifaceted surprising and captivating nation. With Beirut being a culinary wonderland and the Lebanese being so remarkably hospitable, we urge you to join one of our trips to this amazing country and perhaps combine it with nearby Jordan or Cyprus for another week to another fascinating destination in the region.